Not one you’d want to cook, especially if you lived in a condo. But in this case, nostalgia for tastes of home trumped neighbourly considerations. 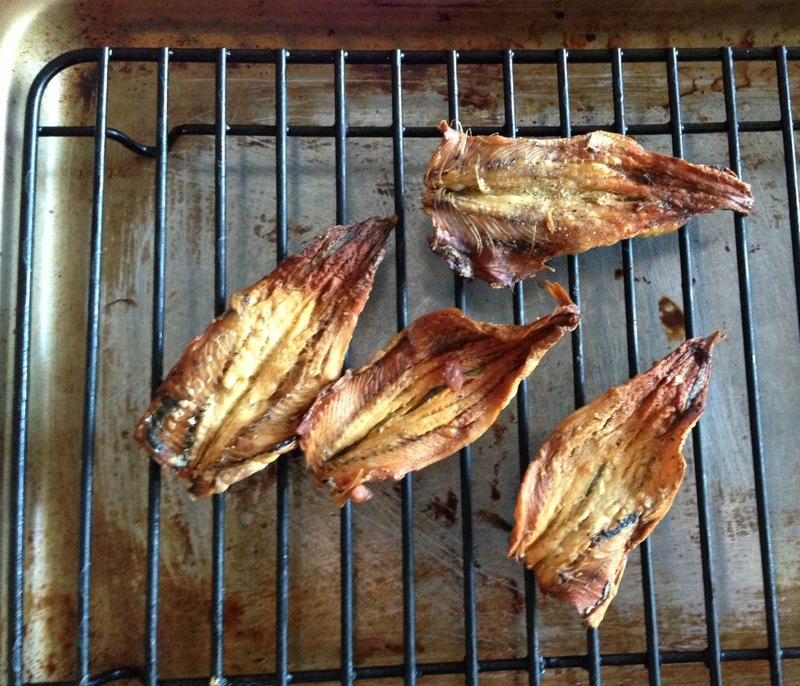 Hence these home-dried, home-cooked fish. I split, deboned and marinated them overnight in some salt, vinegar, water, salt and pepper, then laid them on a rack for a slow, 2-hour heat-drying in the oven set at the lowest possible temperature (170ºF in mine). I waited till the fish were dry, but made sure they weren’t browned or cooked. Finally, when both fish and I were ready, I popped them in the oven toaster, at Bake. Ah, the smell of it just took me home! Suggested serving: with fluffy scrambled eggs (cooked on very low heat, with lots of butter), fried rice (with lots of garlic) and a vinegar-chili dip.